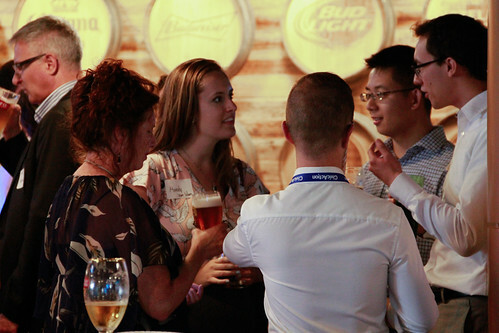 On August 17, new and long-standing members of the ELN gathered at the newly-renovated Labatt Brewery to celebrate the 10th anniversary of the Emerging Leaders Network. What a sight to see such a diverse group of passionate rising leaders come together to share stories, laugh and make new connections! CivicAction CEO Sevaun Palvetzian and former ELN Co-Chair/Current CivicAction board member Salima Rawji shared remarks about the role the ELN has (and continues to have!) and our ELN executive team was formally introduced to the crowd. Missed out? See the pictures.